Lord Sri Krishna is factually the spiritual master of the three worlds, and He is the original source of all Vedic knowledge. It is very difficult, however, to understand the personal feature of the Absolute Truth, even from the Vedas. His personal instructions are needed in order to understand the Personality of Godhead as the Supreme Absolute Truth. Bhagavad-gita is the evidence of such transcendental knowledge in gist. One cannot know the Supreme Lord unless one is graced by the Lord Himself. Lord Krishna exhibited this specific mercy towards Arjuna and Uddhava while He was in the material world. Undoubtedly Bhagavad-gita was spoken by the Lord on the Battlefield of Kuruksetra just to encourage Arjuna to fight, and yet to complete the transcendental knowledge of Bhagavad-gita, the Lord instructed Uddhava. The Lord wanted Uddhava to fulfill His mission and disseminate knowledge which He had not spoken even in Bhagavad-gita. 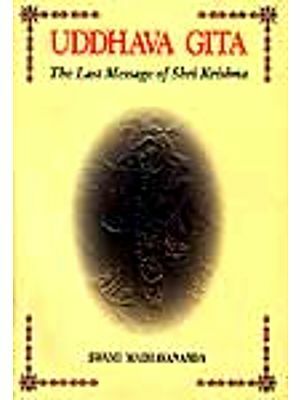 The Uddhava-gita is one of many Gitas associated with the worship of Lord Krsna. 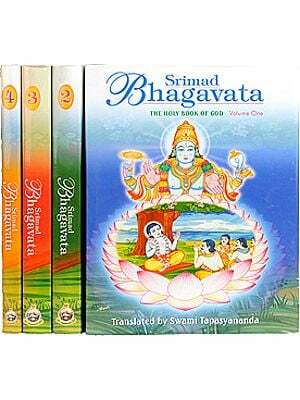 Through the Bhagavad-gita is undoubtedly the most famous of these Gitas; in the bhakti tradition are Gita Govinda, Gopi-gita, Venu-gita, Bhramara-gita, Avanti-gita and several others. 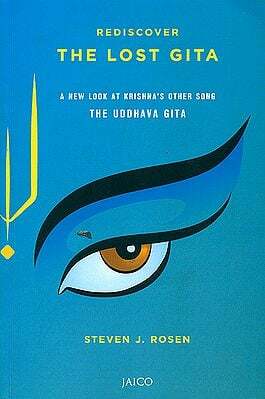 Gita means "Song" and within the context of devotional literature, it refers to particularly sweet and blessed songs of divine truth, uttered by great devotees or by the Lord Himself. The songs are both philosophical and devotional outpourings. Uddhava-gita is practically the most important of all the gitas for it focuses on Lord Krsna's final instructions just before leaving the earthly planet. Moreover these instructions are delivered to Uddhava, recognized as the greatest among the devotees of the Lord, and foremost among those who are intimate with Him. When Lord Krsna was on earth five thousand years ago, Uddhava was the Lord's cousin and his bodily features was exactly like that of the Lord. For this reason and others, it is mysterious that Uddhava-gita has never enjoyed the fame of its sister text, the Bhagavad-gita, with which it shares several verses in common. In several ways, Uddhava-gita goes further ways, Uddhava-gita goes further than the Bahgavadgita, illuminating the Bhagavadgita's central teaching of devotion to Lord Krsna and emphasizing the importance of seeing Krsna everywhere, in everyone, and at all times. I was born in the darkest ignorance, and my spiritual master opened my eyes with the torch of knowledge. I offer my respectful obeisances unto him. When will Srila Rupa Gosvami Prabhupada, who has established within this material world the mission of fulfill the desire of Lord Caitanya, give me shelter under his lotus feet? I offer my respectful obeisances unto the lotus feet of my spiritual master and unto the feet of all Vaisnavas. I offer my respectful obeisances unto the lotus feet of Srila Rupa Gosvami along with his elder brother Sanatana Gosvami, as well as Raghunatha Dasa and Raghunath Raghunatha Bhatta, Gopala Bhatta, and Srila Jiva Gosvami. I offer my respectful obeisances to Lord Krsna Caitanya and Lord Nityananda along with Advaita Acarya, Gadadhara, Srivasa, and other associates. I offer my respectful obeisances to Srimati Radharani and Sri Krsna along with Their associates Sri Lalita and Visakha. gopesa gopika-kanta radha-kanta namo stu te. O my dear Krsna, You are the friend of the distressed and the source of creation. You are the master of the gopis and the lover of Radharani. I offer my respectful obeisances unto You. I offer my respects to Radharani, whose bodily complexion is like molten gold and who is the Queen of Vrndavana. You are the daughter of King Vrsabhanu, and You are very dear to Lord Krsna. I offer my respectful obeisances unto all the Vaisnava devotees of the Lord. They can fulfill the desire of everyone, just like desire trees, and they are full of compassion for the fallen souls. I offer my obeisances to Sri Krsna Caitanya, Prabhu Nityananda, Sri Advaita, Gadadhara, Srivasa and all others in the line of devotion. "Lord Sri Krsna is factually the spiritual master of the three worlds, and He is the original source of all Vedic knowledge. It is very difficult, however to understand the personal feature of the Absolute Truth, even from the Vedas. His personal instructions are needed in order to understand the personality of Godhead as the Supreme Absolute Truth. Bhagavad-gita is the evidence of such transcendental knowledge in gist. One cannot know the Supreme Lord unless one is graced by the Lord Himself. Lord Krsna exhibited this specific mercy towards Arjuna and Uddhava while He was in the material world. Undoubtedly Bhagavad-gita was spoken by the Lord on the Battlefield of Kuruksetra just to encourage, Arjuna to fight, and yet to complete the transcendental knowledge of Bhagavad-gita, the Lord instructed Uddhava. The Lord wanted Uddhava to fulfill His mission and disseminate knowledge which He had not spoken even in Bhagavad-Gita." From this we can understand that although Uddhava-gita contains instructions similar to those imparted to Arjuna on the battlefield of Kuruksetra, it also contains very confidential teachings that are not available even in Bhagavad-gita. The five truths that embody the teachings of Bhagavad-gita- isvara (the Supreme Lord), jiva (the living entities), prakrti (mterial nature), kala (time), and karma (activities)- are fully elaborated upon in the Uddhava-gita. The Vedic literature offers us many gitas, or songs. There are the Gita Govinda, Venu-gita, Bhramara-gita, Gopi-gita, Avanti-gita, Bhagavad-gita, Uddhava-gita and many more. All of these gitas have one thing in common: they are either song of the Lord Himself, or of His devotees. In either case, the purpose f these songs of the Lord Himself, or of His devotees. In either case, the purpose of these songs is to invoke our forgotten eternal loving relationship with the Supreme Lord. Thus, the songs found in the Vedic literature are not like the ordinary songs of this material world, which are compared to the croaking of frogs, simply inviting the snake of death. "My dear Lord, previously we had requested you to remove the burden of the earth. O unlimited Personality of Godhead, that request has now been fulfilled. You killed innumerable demons in order to protect your devotees, and you re-established the religious principles that had been forgotten in the course of time. You have certainly broadcast your glories throughout the world, so that everyone can easily become purified simply by hearing about you. Descending into the dynasty of King yadu, You have manifested your unique transcendental form, and for the benefit of the entire universe, You have executed magnanimous transcendental pastimes. My dear Lord, pious and saintly persons, who in the age of Kali, hear and chant narrations of your transcendental pastimes, will easily cross over the dense darkness of that terrible age. O supreme personality of Godhead, O my Lord, you have descended into the Yadu dynasty, and thus you have spent one hundred and twenty-five autumns with your devotees. My dear Lord, there is nothing remaining for your Lordship to do on behalf of the demigods. O Lord, you are the basis of everything and if you so desire, then kindly return to your own abode in the spiritual world." Lord Sri Krsna replied, "I have very well understood your prayers. I have certainly executed my duty of removing the burden of the earth, but if I depart for My own abode at this time, the members of the Yadu dynasty will constitute another great burden. Therefore, before I depart from this world, I shall arrange for the withdrawal of the Yadu dynasty." Thereafter, Lord Krsna inspired Durvasa Muni and other sages to curse the members of the Yadu dynasty, so that while quarrelling with each other, they would be annihilated. Lord Krsna then met the elder members of the Yadu dynasty and informed them, "Because of the curse of the brahmanas, I see many inauspicious omens foreboding great disturbances and destruction. We should therefore go to Prabhasa-tirtha, which is a very sacred place. There, we will be able to counteract the ill effects of all our sinful activities by satisfying the brahmanas with gifts of charity." Then, in obedience to the Lord's desire, the members of the Yadu dynasty went to Prabasha-tirtha, and a fire sacrifice was performed. At that time the men of the Yadu dynastry drank an intoxicating beverage that made them forget everything, even the identities of their mothers, brothers, fathers, children, and friends. Being intoxicated, by the will of the Lord, they fought with each other, and the result was the annihilation of the Yadu dynasty. Actually, the annihilation of the Yadu dynasty was a display of the Lord's illusory energy, Maya. The Yadavas are eternal associates of the Lord, and are therefore eternally liberated souls. When he had contemplated winding up His pastimes within the material world, the Lord considered now, in His absence, the members of the Yadu dynasty would suffer greatly in separation from Him. It is for this reason that the Lord arranged for their return to His supreme abode before His own departure from the material world. Thereafter Lord Balarama appeared in His form as Sesa-naga and departed from this world. Lord Sri Krsna then sat underneath a banyan tree, meditating upon Himself. At that time, Uddhava came before Him and prayed, "My dear Lord, I know that you want to return to your eternal abode in the spiritual sky. I cannot bear to live without you, and so please take me with you." Lord Sri Krsna replied, "There is something remaining for you to do on My behalf in this world, and so you must stay here for some time. I will now disclose to you the most confidential understanding of religious principles, whereby even a blind man can easily follow the path and ultimately attain pure love for me. After understanding this most confidential subject matter, it will be your duty to impart it to the sages residing at Badarikasrama, headed by Nara-Narayana Rsi."